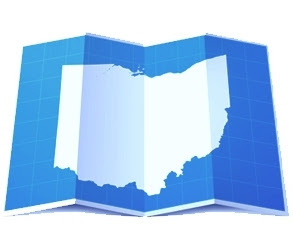 Commercial leases in Ohio must be in writing and signed (See Ohio’s “Statute of Frauds”- ORC Section 1335.04), and, they must be acknowledged (e.g., notarized) when their terms (duration) exceed three (3) years (See ORC Section 5301.08; ORC Section 5301.01). If these “technicalities” are not followed, is there real harm as a result of the foul? Absolutely. The general law in Ohio is such that when a tenant takes possession under a defectively executed lease (and pays rent…), only a periodic (e.g., month to month) tenancy will be implied to exist, in spite of the lease’s stated duration. In other words, in Ohio, if a commercial real estate lease with a ten (10) year stated term is not notarized, and payments are made monthly, only a month-to-month tenancy legally exists. This result is markedly different from the effect of improperly executed/acknowledged deeds. With regards to such “improper” deeds, the Ohio Supreme Court has held that a deed is still valid despite a defective acknowledgment, but only as between the grantor and grantee. There is (as with most case law) an exception to the aforesaid general rule with respect to improperly executed/acknowledged leases; the equitable doctrine of “part performance”. This contract law doctrine basically dictates (based upon fairness/equity) that a lease (or other contract) should not be rendered unenforceable due to technical failures when much of the contract has been performed, and other equitable factors are present such as “detrimental reliance” (changing of a party’s position to its detriment, in reliance upon an act [e.g., making substantial improvements to a premises in reliance upon what a tenant thought was a validly executed/acknowledged, 20 year lease]). What about an improperly executed/acknowledged lease whose term is longer than three years, only if you count the optional renewal term? Or, an “improper” lease whose term has just started? Would such a lease violate the statute? If so, would the doctrine of part performance apply? The recent decision of Chen v. Hwang, 2014-Ohio-5863 (10thDistrict Court of Appeals, Franklin County) answers both of these questions. The Chen case involved a lease agreement executed on August 3, 2012 between Dr. Chen, the tenant-appellee, and Dr. Hwang, the landlord-appellant. The lease provided for a three-year term with an option to renew for an additional three years. According to the lease, the term was to commence on October 1, 2012, and certain remodeling work was to be completed by the landlord by such date. The lease was executed, but was not notarized. On November 30, 2012, the tenant rescinded the lease agreement and filed a complaint, seeking a declaration that its recession was justified because the lease agreement was in effect, a six year lease (including the option) and therefore not acknowledged in accordance with the Ohio Revised Code (and thus, unenforceable), and alternatively, that the appellant did not deliver the premises with the remodeling work completed as and when required by the lease. In addition, the tenant sought repayment of approximately $24,000, which was comprised of payment for the first month's rent, payment of the security deposit, and money loaned to the appellant for purposes of remodeling the premises. The landlord claimed (1) it was the tenant who breached the lease, by not securing certain permits required for the work, (2) that accordingly, the option would not be exercisable (with tenant in default), and (3) therefore, the lease was only three years and complied with the lease-execution requirements set forth in R.C. 5301.01. The trial court concluded that as a three-year lease with an option to renew, the lease was subject to the execution requirements of R.C. 5301.01(A). Because the lease failed to comply with R.C. 5301.01(A), the trial court decided that tenant was entitled to damages for the amounts paid to the landlord. The landlord appealed, but the Tenth District Court of Appeals upheld the ruling of the trial court. In justifying its ruling, the appellate court simply applied the law to the facts. To accomplish the same, it looked first to the applicable statutes. The so called “3+ year rule” exception to R.C. 5301.01(A), which only applies to leases is found in R.C. 5301.08, which provides: "Sections 5301.01 to 5301.45 of the Revised Code do not affect the validity of any lease * * * of any other lands for any term not exceeding three years or require that lease to be acknowledged or recorded." To the contrary, the court cited “precedent” (i.e., prior decisions of 380 E. Town Assoc. v. Mangus, 10th Dist. No. 91AP-92 (June 20, 1991) and Gelman v. Holland Furnace, 59 Ohio Law Abs.539 (1948)) that established "[u]nder Ohio law, option periods are added to the initial term of the lease in order to determine the length of the lease for the purposes of complying with R.C. 5301.01 and 5301.08." What is the moral of this story? When in doubt, take the notary route. Notarization, when not required will result in “no harm, no foul”. On the other hand, odds are that failing to notarize when required will cause, at the least, time and attorneys fees, and at most, it can render your lease unenforceable. Any commercial lease of three years or more (including option terms) must be in writing, signed and notarized. While performance under a lease may remove it from the requirements of R.C. 5301.01(a), it will not protect a landlord who seeks to enforce an improperly executed lease when performance has not commenced.